This bag is hotter than ever. Seriously. The Kelty Cosmic 20° Down Sleeping Bag features the exceptional warmth of 600-fill hydrophobic DriDown™ for higher performance. That means more moisture defense and quicker drying in the cold and wet. This bag is hotter than ever. Seriously. 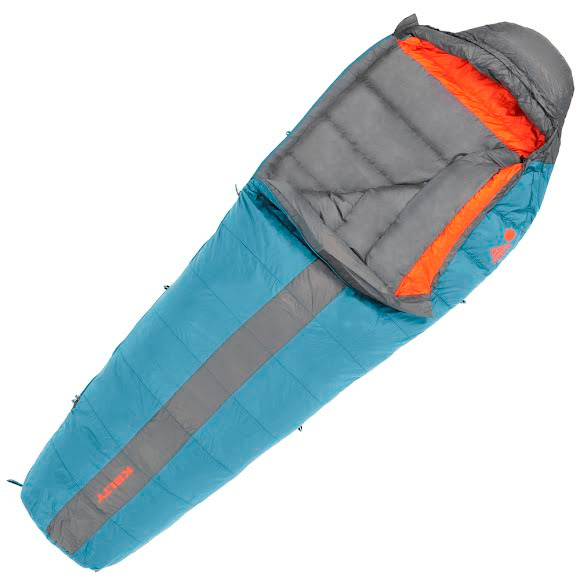 The Kelty Cosmic 20° Down Sleeping Bag features the exceptional warmth of 600-fill hydrophobic DriDown™ for higher performance. That means more moisture defense and quicker drying in the cold and wet. Versatile enough to use in 3 seasons, with great features like a thermal comfort hood and top draft collar, it&apos;s a no-brainer for backpackers who love to be outside in rain, snow or shine. Max User Height Regular: 6', Long: 6'6"
Stuffsack Size 8" x 14"